For half a century, customers have been turning to Ifor Williams Trailers to make their working lives easier and their leisure time better. From builders to tree surgeons, ifor Williams Flatbed, Tipper and General Duty trailers are used across a huge variety of industries. The range of Car Transporter trailers is used by rally drivers and garage owners, while the Box Vans are increasingly popular with coach and bus firms, market traders, hot air balloonists, scout troops and tradespeople who convert the interior into mobile workshops. West Wood Trailers is Ireland’s Leading supplier of New and Used Ifor Williams Trailers since 1958. 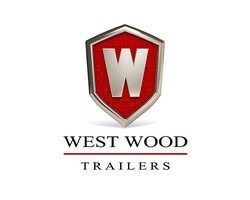 West Wood Trailers is a well-respected brand in the construction, farming, equestrian and leisure sectors. An admired brand and a market leader in their space, with fantastic products but an outdated website that was out of date and did not depict the progressive company in 2013. The company felt that the quality of their product range and company image was not properly portrayed by their outdated website. Taking this on board Westwood Trailers approached Emarkable and asked us to design a new online Digital presence which would be reflective of their market leading position. Emarkable partnered with Mindsi graphic design to work with Alan Cole the managing director of Westwood Trailers on the design of the new online presence. The brief was clear. The company wanted a web presence that reflected the market leading position and the look and feel of the quality products that the company were offering. The first stage of this process was an in depth strategic review where the key online objectives of the web presence were clarified. The website had to facilitate a number of priorities. The site was built using the WordPress Content Management System (CMS) which is the most popular web building platform in the world. In the first instance, the website had to act as a Lead Generation engine encouraging visitors to contact the company directly or leave some contact details. To achieve this prominent Calls To Action (CTA) were installed on the home page picture carousel which was the main point of entry into the site. A large range of PDF brochures was prepared for all main product categories which web browsers were encouraged to download. The site also included a news section which highlighted pictures and stories customers using the products in a real-world setting. This helped offer social proof of the popularity functionality of the trailers in everyday life of customers. 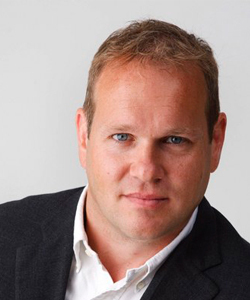 It was also recognised that high-end quality photography was an essential element of the online marketing mix. Taking this on board a significant resource was spent on photography depicting products in use against the backdrop of stunning scenery and iconic images. Each page of the website was handcrafted using iconic motor brands used such as Porsche, Mercedes and Volkswagen as a guide. Google Analytics was installed on the site to allow Emarkable to monitor audience behaviour. Emarkable after extensive keyword research ensured the website is optimised for the search engines and this could be improved on an ongoing basis. This means that the Westwood Trailers website was visible for key search terms on Google when prospects were typing in relevant keywords and key phrases when carrying out online research. Since the upgrade, Westwood Trailers have seen a steady increase in online visits year on year to their website The majority of visitors arrive at the site through Google search which indicates that Search Engine Optimisation (SEO) has been effective. We can also see the depth and length of engagement on the site in increasing which means website visitors and staying longer on the site and viewing more pages. This signifies users that are researching their options. In addition, we can also see that the website is serving its primary function as an effective Lead Generation engine for the sales team. In the last year, alone many hundreds of new contacts and enquiries were generated through the website.